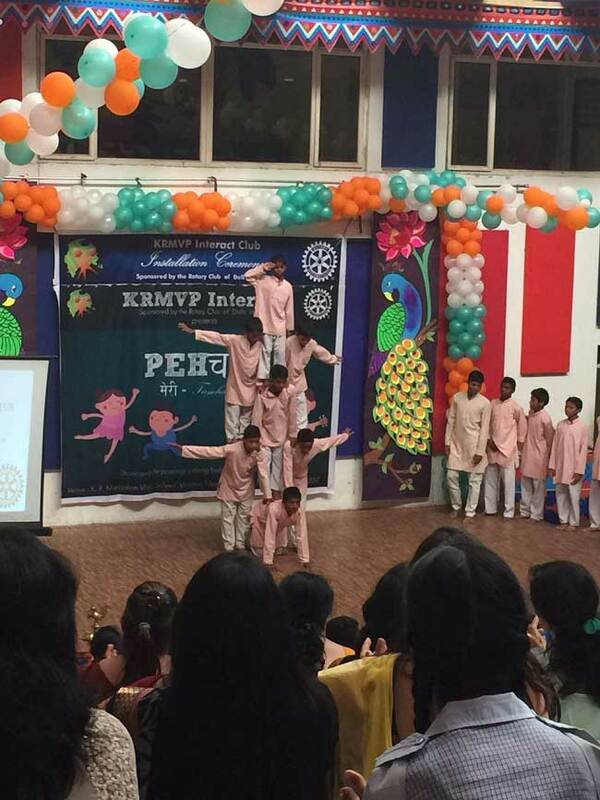 The first edition of Pehchaan-Meri Tumhari was held on 26th August 2017 at K.R.Mangalam World School, Vikaspuri. Pehchaan is an inter NGO competition where the school provides a platform for young students from NGOs in & around Delhi to find expression. The main objective of this programme was to boost up their confidence and enhance their personalities. 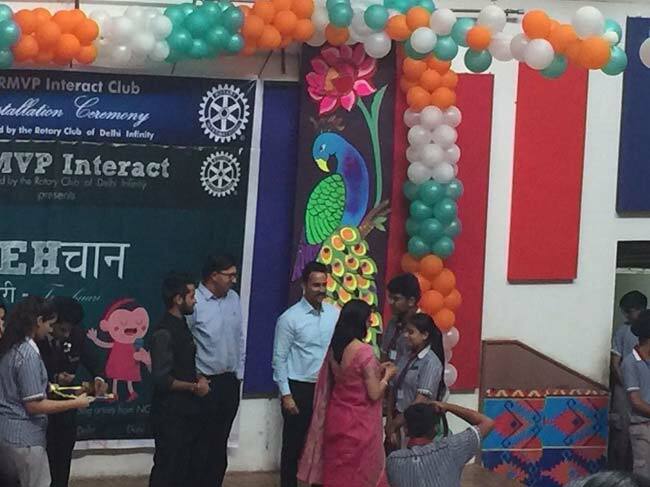 The event was graced by President Rt.Rohit Goel from Rotary Club of Delhi Infinity. Rotaractor DRR-Anmol Chawla along with Rotractor Ritanshu -Secretary and Shreya Snehi as ADRR also graced the occasion. Two competitions were organised ‘Aao Rangon Se Khelo’ and ‘Ek Se Badh Kar Ek’ where the children from various NGOs participated very enthusiastically and actively. It was a day where creativity exploding in every piece of art. The first Installation Ceremony of the office bearers and its council members was also part of the Grand finale. The pins and badges were decorated on the new appointees by the Chief Guest, the school Principal and other dignitaries. It filled all the Interactors with a feeling of pride and sense of responsibility. The School principal Ms.Meenu Kanwar apprised the audience on the importance of reaching out to the community. She informed the gathering of the good work done by the student interact body of the KRM Interact Club. She congratulated them and wished them all the very best in their future endeavours.